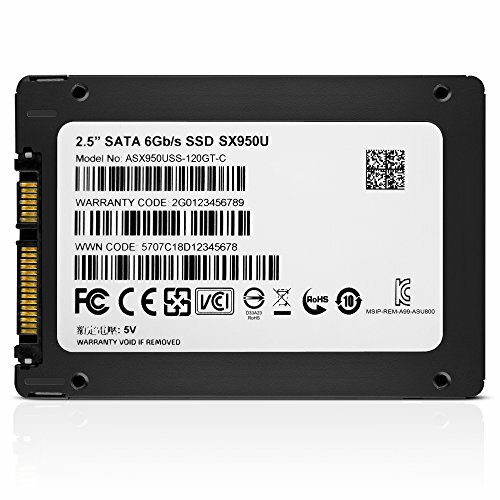 ADATA IS PRESENTING this 2 5in SSD as a PC gaming aid, albeit in very general terms – which is unsurprising, considering that the type of storage drive you use has no bearing on things such as frame rates or latency in online games. Read our ADATA XPG SX950U Review. It won’t give you an advantage, in other words, but then there are game-specific quality of life improvements that come with switching from a hard disk to an SSD. Load times are shorter, for instance, so you can spend more time playing and less time staring at progress bars, and a faster drive can also reduce the ‘hitching’ effect sometimes seen in open world games: this occurs when the game can’t pull assets from the drive fast enough, causing stuttering even when the GPU is keeping frame rates high. These issues aren’t solved with vaguely defined ‘designed for gaming’ hoodoo, however: all you need to rely on are good old-fashioned read and write speeds. however; the entry-level 120GB model has the same maximum read speed but a lower maximum write speed of just 420MB/s. We tested the 240GB model, so it should be indicative of the larger capacities too. 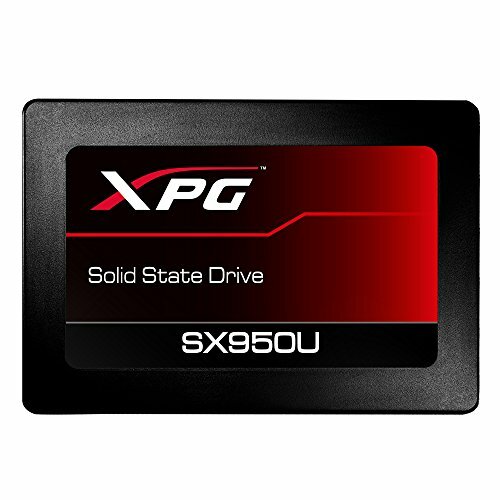 It appears to be a cheaper take on last year’s XPG SX950, which also promised gaming optimisation but with higher-end multi-level cell (MLC) NAND flash memory. 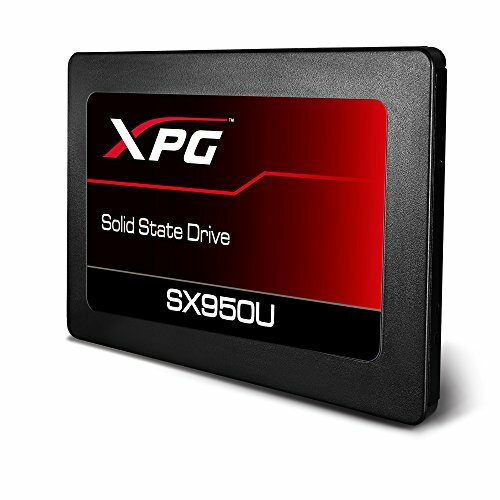 The XPG SX950U instead uses cheaper, but slower and less durable triple-level cell (TLC) NAND. Like many TLC drives, it has a small singlelevel cell (SLC) cache, which can boost write speeds under light workloads. Sure enough, in CrystalDiskMark’s standard sequential read speed test, the XPG SX950U posted a fantastic 563.4MB/s. That’s up with the very best by SATA standards. Its sequential write speed result of 513.8MB/s didn’t repeat such a feat, but it’s still decent enough. Both results are pleasantly close to the advertised maximums, with the read speed even surpassing it slightly. 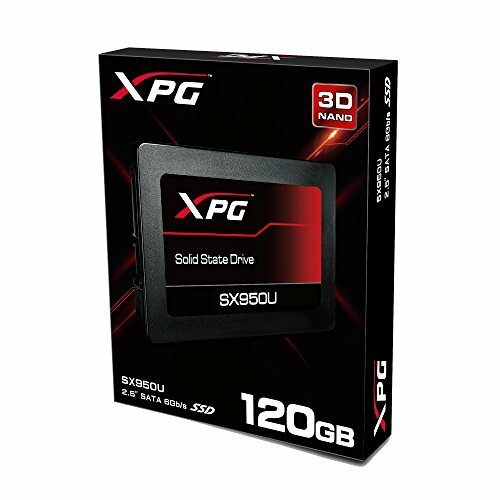 In the much more demanding 4K test, however, the XPG SX950U slowed down severely: its read and write speeds dropped to 199Mb/s and 231.8MB/s respectively. A certain reduction is to be expected, but next to the Samsung 860 Evo, which scored similarly in the standard sequential test but still managed a 400.8MB/s read and a 364MB/s write speed in the 4K test, Adata’s SSD has some catching up to do. This didn’t really happen; before we get to the XPG SX950U’s results in our own file transfer tests, know that the 860 Evo comes out ahead in all of them. That said, the SX950U is far from slow, and can outpace many of its other rivals even if it can’t beat the top dog. Take, for example, its results in the huge file test: with an average read speed of 435.82MB/s and a write speed of 506.09MB/s, it slips just ahead of the SanDisk Ultra 3D SSD and absolutely destroys the Kingston UV500, the latter of which managed only 247.52MB/s in the write portion. 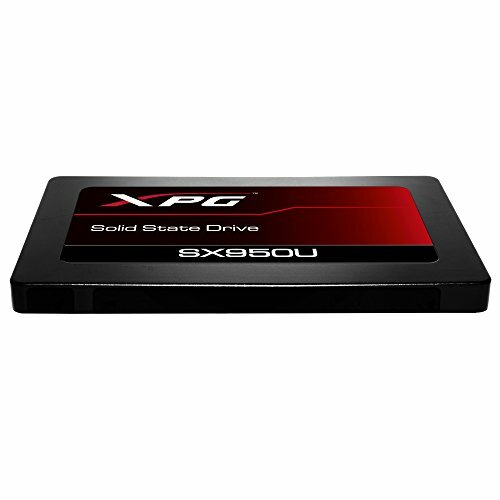 It also shares with the 860 Evo an unusual quality of being able to write multiple files faster than a single big one; that’s judging by our large files test, in which the XPG SX950U averaged a 434.36MB/s read speed and an exceptional 531.66MB/s write speed. In some individual test runs, it returned – as the 860 Evo did – results that seemingly exceeded the theoretical speed limit for SATA drives, which just means it was working faster than the operating system could keep up. Write speeds also surpassed read speeds in our final (and most intensive) small files test, with the XPG SX950U averaging a 247.35MB/s read and 409.4-9MB/s write. Again, these aren’t as quick as what you could get from the 860 Evo, but both the Ultra 3D SSD and the UV500 are left even further behind. 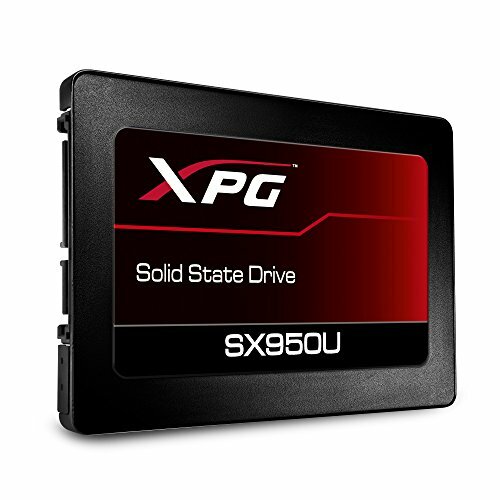 Oddly, Adata hasn’t released any details on the XPG SX950U’s durability, maybe to avoid unfavourable comparisons with the SX950, which can leverage its longer-lasting MLC memory to claim up to 800 terabytes written (TBW). At least this new drive is a much more attractive proposition to the budget-minded, with a cost-per-gigabyte starting at just 22.2p for the 480GB model and going up to 30.6p for the 120GB model, which is still very reasonable for the speeds you get. Our 240GB version sits in the middle at 26.5p, while the largest 960GB model works out at 22.7p. A few months ago, these prices would have made it a great alternative to the more expensive 860 Evo, the equivalent 250GB version of which started at 32.8p per gigabyte. Unfortunately for Adata, Samsung’s superlative SSD has since dropped to roughly equal prices, if not lower for certain capacities, including 250GB. 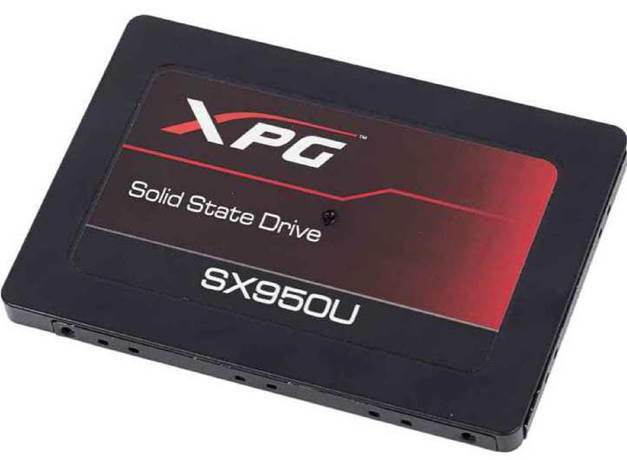 The XPG SX950U is thus denied award status, but we can’t be too hard on it: it’s still a respectably speedy hard disk upgrade, regardless of whether or not you’re storing games on it.